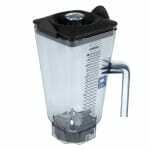 The Vitamix 15506 blender container has a 48-ounce capacity and is made of heavy-duty Tritan plastic. This material withstands high-volume applications and is clear to provide product visibility while blending. The container can be stacked to save space in storage areas. 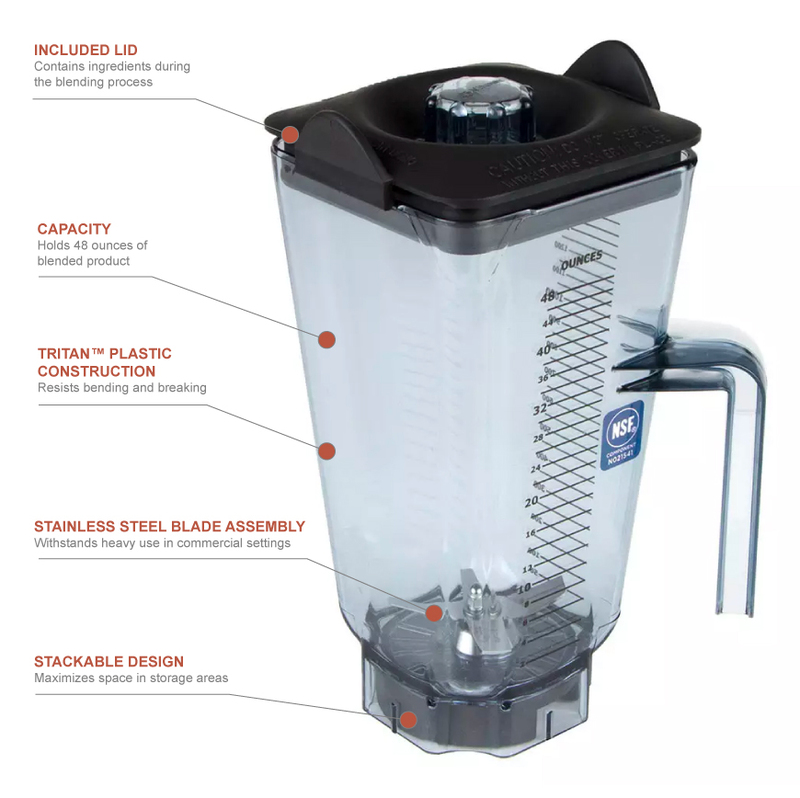 A lid and stainless steel blade are included with the container.